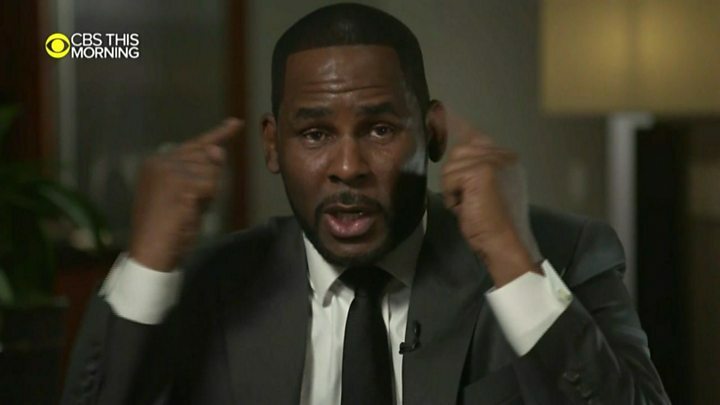 Image caption A court filing claims that "denying the opportunity to work would be a hardship on his children"
According to a motion filed in Cook County Circuit Court, R. Kelly also plans to meet members of the United Arab Emirates' royal family. "He cannot work, and consequently cannot make a living if he is confined to Illinois, or even the United States," according to the five-page document. "Denying him the opportunity to work would be a hardship on his children." The filing also took aim at Cook County State's Attorney Kim Foxx, questioning her impartiality in the case and accusing of using the trial "to thrust herself into the spotlight of the #metoo movement". 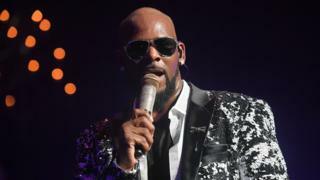 A judge may decide on R. Kelly's travel request on Friday. "I didn't do this stuff. This is not me," he said, adding that he is "fighting for my life".